When growing organically, one common struggle is pest management. Pesticides are such a common practice in gardening and food cultivation that the idea of pest management without them seems impossible. Fortunately, it can be done. Like many organic growing techniques, pest management requires a holistic understanding of the growing process. You also need to understand the way your cannabis plant integrates with the environment. 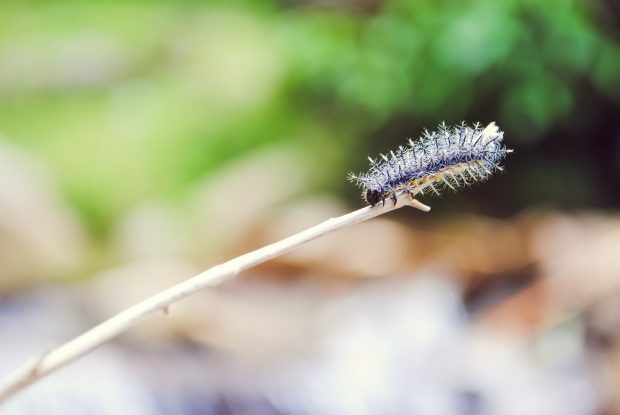 Fittingly, integrated pest management (IPM) is the common term for organic pest management. IPM is the practice of controlling pest populations and mitigating the effects of pests on the plant. This is done through a variety of proactive approaches. It differs from more traditional, reactive pest management approaches. IPM involves a broader view of the plant’s health and surroundings. It also incorporates a number of safeguards and solutions to pest issues before they become a serious problem. Typical pest management involves treating issues once they’ve already become a problem. Integrated pest management is comprehensive in its approach. You could think of IPM as pro-plant rather than anti-pest: every action you take supports the plant’s health and resilience against pests. This means limiting the population and reproductive rate of pests. It also means encouraging plant health through companion planting or the introduction of beneficial insects and microbes. Integrated pest management isn’t necessarily organic, and vice versa. While IPM is an environmentally friendly option, it can include synthetic pesticide use and other non-organic growing practices. What makes IPM environmentally friendly is its measured approach to pesticide use. Pesticide is the last line of defence against pests. It takes into account the pest population, reducing it only enough to ensure high crop yields and healthy plants. Of course, IPM can be completely organically. In place of synthetic pesticides, one can find environmentally friendly and organic products that treat specific diseases, or control reproduction in certain pests. The first step in organic IPM is to observe and take note of the issues facing your growing environment. IPM is a surgical approach to pest management, rather than a blanket approach like a spraying schedule. You need to know what issues you’re dealing with (or may deal with) and treat for those issues. Learning the signs and symptoms of pest infestations and the specific ways to treat each takes time and research. By carefully monitoring your plant, you will be able to collect information to help with this research process. When we refer to mechanical pest management, we aren’t talking about machinery. Mechanical simply means physical modification of the plant or plant’s environment, or removal of pests by hand. This is the most straightforward method to deal with infestation, particularly when it’s still minor. It’s also the most environmentally friendly way to deal with pests because it simply requires manual labour. You don’t need to purchase any products, spray chemicals, or otherwise disrupt the growing environment. The drawback to this method is that it can be time consuming and difficult, and you can’t realistically remove all pests by hand. Some pests are far too small and reproduce too quickly for this method to be efficient. While chemical pest management is often considered a non-organic practice, there are organic pesticides suitable as a last line of defence. Some of these are true chemical pesticides like hydrogen peroxide or sulphur, and are organic sourced rather than synthesized in a lab. 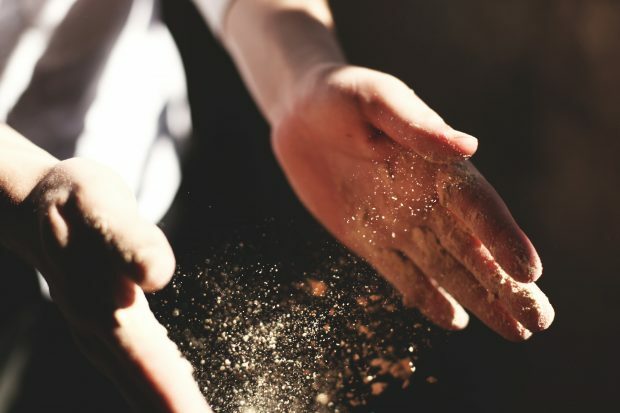 Others use natural, household ingredients like cayenne pepper, citrus oil, or table salt. Finally, you may be able to purchase solutions that contain specialized microbes that interrupt the reproductive cycles of a variety of pests. One common way to reduce damage from pests is to plant companion crops with your cannabis. 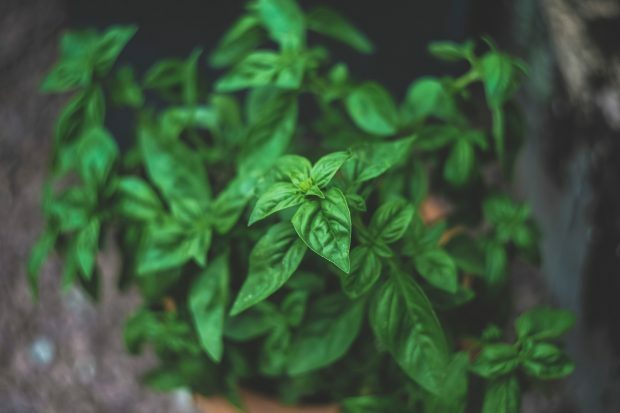 For instance, ground cover herbs such as basil and rosemary can deter pests in two ways. 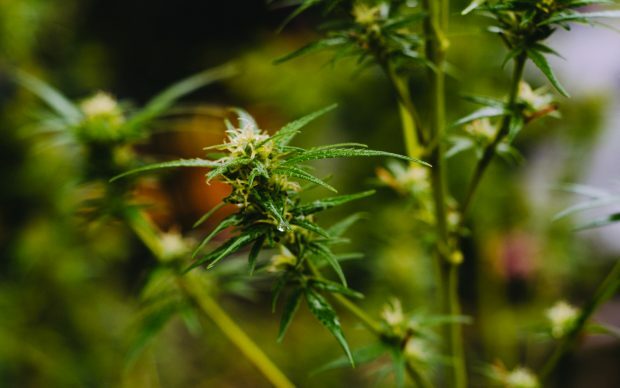 They provide a physical barrier around the plant (like a moat around your cannabis castle) while also deterring insects with their strong smell. The oils these plants produce act as a natural repellant. The final, somewhat radical form of intervention is the introduction of predators to control pest populations. 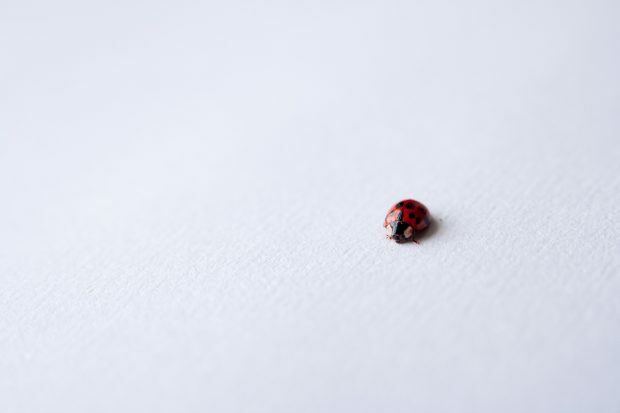 Many are familiar with purchasing ladybugs from the garden centre to treat aphid infestation. This can also work well for common cannabis pests. The difficulty is in storage, transport, and deployment. Purchasing predator insects and having them arrive at your growing site alive can be a challenge. Often, this approach is unsuitable for indoor growing. However, for outdoor and greenhouse growing, this is an effective organic pest control method. As you can see, integrated pest management is more of a philosophy or generalized approach than a specific technique. IPM is the best way to manage pests holistically, and is suitable for organic growing techniques as discussed above.